Home Alia Bhatt Alia Bhatt Kapoor and Sons Since 1921 Alia Bhatt boyfriend Alia Bhatt Sidharth Malhotra affair bollyfmblog Katrina Kaif Ranbir Kapoor sidharth malhotra Whats New Alia Bhatt and Sidharth Malhotra living together? 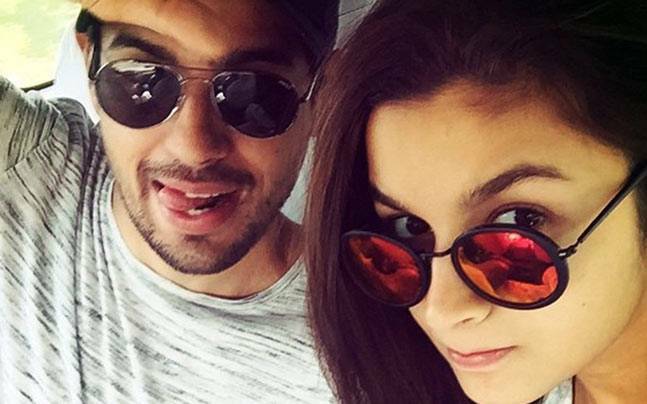 That Sidharth Malhotra and Alia Bhatt are a couple is no news. Yes, the duo haven’t been vocal about their relationship not have they admitted being more than just friends. But sadly their frequent outings together and off screen chemistry has given away all the answers. In fact, this couple has been the talk of the town for a while now however the latest dope on them is going to get them into limelight once again. Apparently, these days the Student of the Year co-stars have been spending a lot of quality time together. So much so that Sidharth ends up staying at Alia’s house more often than not. What’s more is that Mr Malhotra has been bonding with his ladylove’s mother and sister as well since the Udta Punjab heroine lives with her family. Ahem ahem! While talking to a tabloid, a source said, “Alia and Sidharth have been spotted together on many occasions and though they speak highly of each other, they have never admitted to being in a relationship. Now, it seems they have gotten really serious and he stays at her house on most days.” If that’s the case then I won’t be surprised if Alia and her boyfriend soon start living together. But the Kapoor and Sons Since 1921 co-stars are so serious about each other then why are they playing the guessing game? Well, the Shaandaar actress isn’t going to talk about her relationship unless she is sure there is a future. And that’s the reason why these two have been mum about their ishqwala relationship. Unlike Ranbir Kapoor and Katrina Kaif, let’s hope Sidharth and Alia do accept their relationship publicly because when the whole world knows about it, why hide it?